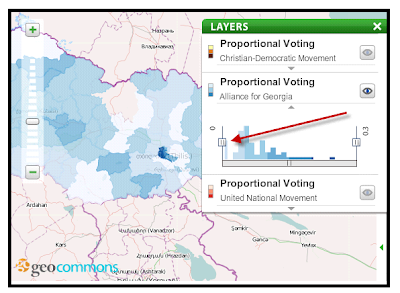 We also have the results for the United National Movement, and the Christian Democrats. More stuff will come online soon, and we are about to make the maps bigger, so that you can play better -- check it out here. 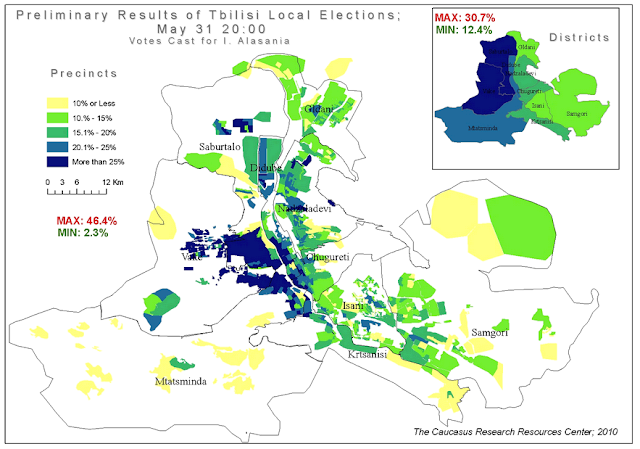 We also have preliminary results for the precinct level in Tbilisi. Note that this is not yet available on the portal. But it shows a fascinating contrast of support. Unsurprisingly, Vake is among the strongest supporters of Alasania. 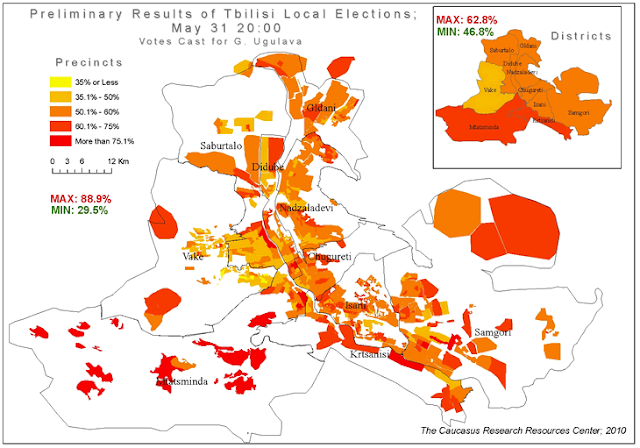 Parties should find this data very useful to target their campaigning in the future.